There's no better spokesman for smoke alarm safety than Alert Bert! 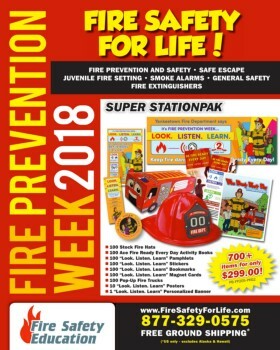 And his new presentation card is especially effective at educating children on the importance of smoke alarms and how they can help make their homes more fire safe. 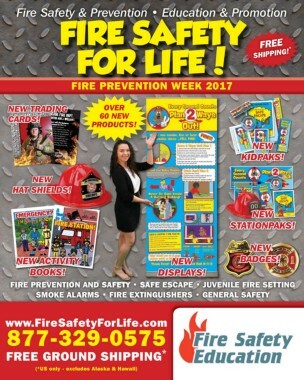 It begins by noting that smoke alarms detect smoke early before fires get too big, giving people a chance to escape from their house. They are loud so that they can be heard even if they go off while people are sleeping. But it's important to make sure that everyone in the house knows what their smoke alarm sounds like and that it will, in fact, wake them while they are asleep. Smoke alarms should be placed on every level of the home, in the hall outside bedroom, and inside every bedroom. Having alarms in these locations makes it easier for more people in the home to hear an alarm, should one sound. Alarms are only effective if they're properly maintained. They can't save lives if they aren't working. So, they should be tested every month. If the alarm doesn't make a noise when the TEST button is pushed, the batteries need to be checked. And if that's not the culprit, the unit should be replaced. Many smoke alarms are battery-operated. It's important that the battery is never taken out of the unit. And it's helpful to make sure that there are extra batteries on hand. To make sure that the alarm is always working, change the batteries every six months. If this activity is combined with something memorable, like Daylight Savings Time, it will be easy to make sure that the batteries never get low. The card's concluding message is not only important, but memorable, too: take care of your smoke alarms and they will take care of you.